Through proper control of blood sugar, many problems, such as eye disease, kidney disease, heart disease, nerve damage and other serious foot problems can be avoided or, at worst, postponed. To live well with diabetes you need to maintain a healthy lifestyle and a daily routine of regular exercise, good nutrition, glucose monitoring and regular visits to your doctor. Here is a roadmap for living much better with diabetes. Eat regular meals. Do at least three meals at the same time every day. Eating every four to five hours can help control your blood sugar. Always carry with you some food or drink that has 10 to 15 grams of carbohydrates that you can consume in an emergency (low glucose). Eat more variety of foods. Choose foods that meet your bodys nutritional needs. Eat fewer fats, less sugar, and less salt. Avoid fried foods. Baked, boiled, or steamed foods are healthier to eat. Avoid red meat. Use skim milk products. Eat more fiber-rich foods like vegetables, fruits, whole grain bread and cereals. Monitor your blood glucose two to four times a day with at least one blood glucose meter. Always use your blood glucose meter to measure your blood glucose at home. The blood glucose test is performed after a finger puncture with a small thin needle (lancet), placing a drop of blood on a chemically active disposable test strip. Then simply place the strip on a digital meter so that it will display on your digital display your blood sugar level in seconds. Take an A1C test at least once every 3 months. This helps you assess how your diabetes control has been in the last few months. Basically, this test measures the amount of glucose that has been adhering to your red blood cells. Each red blood cell is replaced with a new one every 3 to 4 months. Thus, this test indicates the height of the glucose levels during the life of the cells. The goal is to keep the A1C at around 6-7%. If most of your recent blood glucose readings have been almost normal (70 to 140mg / dl), the A1C test result should be as close to normal (about 6-7%). Many readings above normal will make the A1C test get higher. Avoid alcohol and tobacco. They can cause health problems, especially if you are diabetic. Excess alcohol adds calories without giving you any nutrition. Drinking alcohol can make a cross-reaction to diabetes medications and cause problems. Your blood glucose may also drop dramatically if you drink alcohol on an empty stomach after taking insulin. Be active. Physical activity keeps you in shape and helps control blood glucose. It can also help prevent problems with the heart from blood flow, in addition, of course, to help you lose weight. Keep a check on your blood pressure and cholesterol. Have your blood pressure checked two to four times a year and check your cholesterol (fasting lipid profile) at least once each year. If you have diabetes, you are at a higher risk of developing high blood pressure and high cholesterol, which can lead to other serious diseases. Take care of your feet. Damage to nerves and poor circulation are common complications of diabetes. This makes foot problems common among diabetics. Watch them every day for signs of injury or infection. Avoid walking barefoot to reduce the risk of injury. Trim your nails straight to help prevent ingrown nails. Keep your feet warm at all times. Take a look every year, to check your eyes. Prolonged and inadequate glycemic control can damage and weaken small blood vessels in the retina (innermost layer) of the eye, a condition called diabetic retinopathy. It can cause blurred vision, double vision and a permanent loss of vision. It also increases the risk of developing cataracts and glaucoma. Check your kidneys at least once a year, because diabetes can cause damage to the blood vessels in your kidney (diabetic nephropathy) and the risk increases if you have diabetes and high blood pressure. The first sign of nephropathy is the protein in the urine. When levels of kidney damage worsen, blood pressure, cholesterol, and triglycerides rise. There may be swelling in your body, first on your feet and legs. In a urine albumin test, your urine is tested for the protein ovalbumin. Urea and creatinine in urine are the other tests that can be performed to check for kidney function. Kidney damage, if detected in the early stages, may be delayed with treatment. Go to the dentist. Check the health of your teeth and gums at least twice a year. 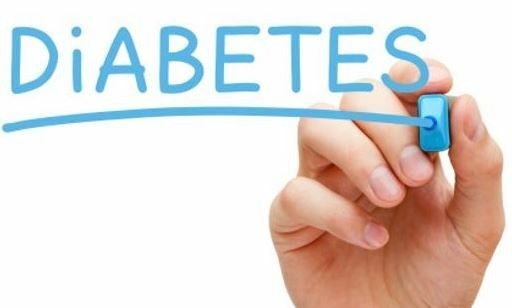 Diabetes can affect your teeth, gums and oral cavity as well. Increased blood sugar increases the risk of tooth decay. Gum disease can happen more often, be more severe and take longer to heal if you have diabetes. Next post What is Kombucha, and What does Kombucha Taste Like?